Fall is finally here, and winter is right around the corner! It’s hard to believe summer is over, but that means we have exciting holiday events for you! We’re happy to announce our classes that we’ll be hosting for customers. Some of our courses have sold out already, but we added new ones so everyone can experience the fun here! (All events can be found on our Facebook page or Eventbrite.) Everything that you make at our classes, you will bring home! The first class that we’ll be hosting is our Witchicorn Decorating class. Learn how to decorate a witch unicorn cake with your son or daughter. Next, we have our Dog Biscuit class. Here you can learn how to bake delicious treats for your pup! Our Cocktails & Cupcakes class is a big hit for friend groups, which is why we have so many upcoming classes for you all! Enjoy a cocktail or 2 with your pals while decorating 6 cupcakes. Another popular event is our Unicorn Cake Magic class. 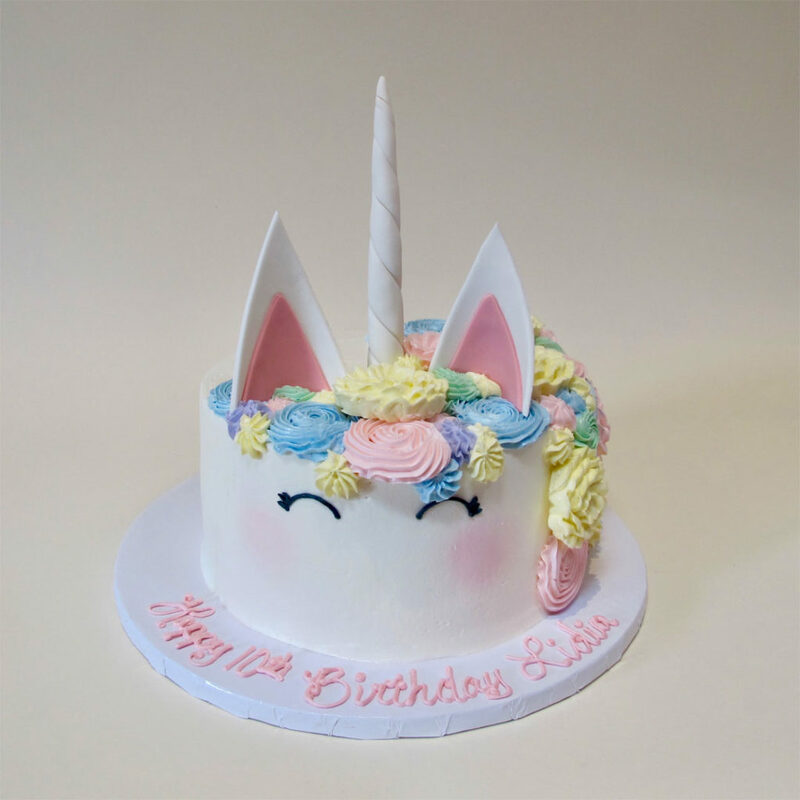 Learn how to make a 6” unicorn cake that is fun for all ages! Then, our Christmas classes! We have our Community Oven Days. Use our very own kitchen to bake all your Christmas desserts, while mingling with other people in the neighborhood. Use our baking tools and oven to make sure you’re ready for your holiday party. We’ll be holding a Christmas Drip Cake class. Drip cakes have been a popular trend nowadays, so we decided to add some holiday cheer to it. Finally, we have our Gingerbread House Decorating classes. We’ll do the hard part of assembling, while you enjoy decorating the house and gingerbread characters with your child. Below are the dates and times to all the classes. We hope you can make it to one of our classes! Tickets have been selling quickly, so make sure to reserve your spot soon. You can purchase your tickets on eventbrite.com or through our Facebook page. We hope to see you then!